with vendors and it's 100% local. 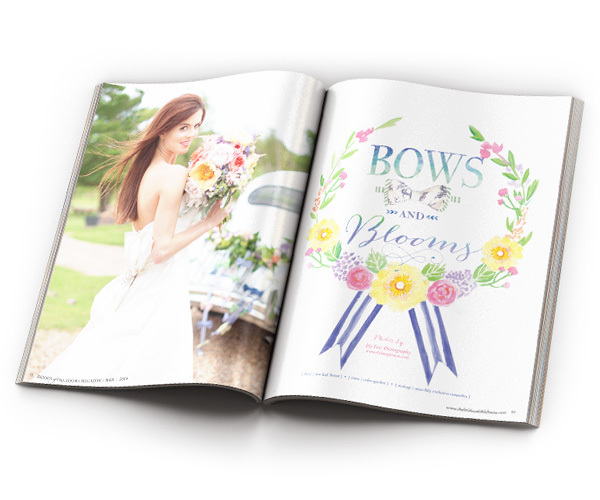 Think your wedding has what it takes to be an exclusive feature? 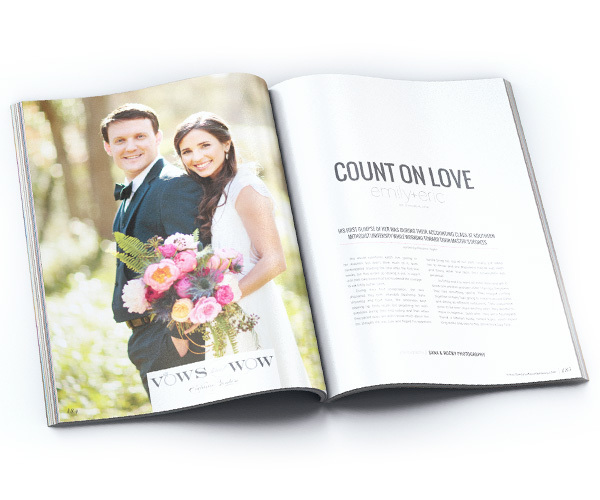 Four lucky brides will receive a custom-designed spread with multiple pictures and a detailed feature wedding story! Published in March and September of each year, we are constantly searching for the next stunning photo to grace our cover! Submit your wedding or styled shoot for consideration! 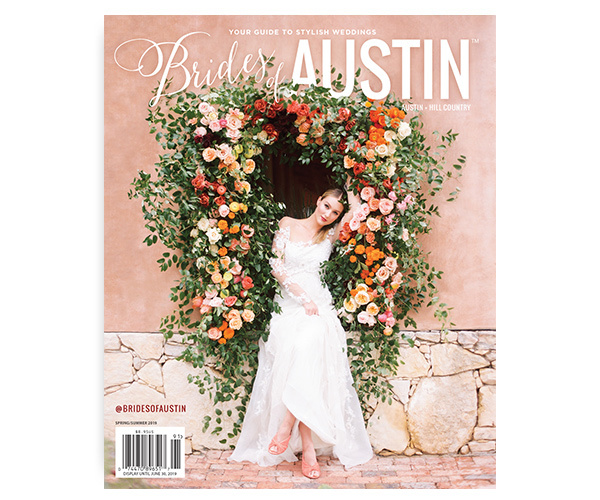 After each magazine release you can enjoy taking a peek inside the editorials seen in the latest issue of Brides of Austin magazine and don't forget to check out the behind the scenes video footage!